Versatile, ergonomic and really comfortable 3 seater polyethilene junior sofa. Can be ordered in the favourite colours of kids, in various colour combinations and in a special piece that is filled with colorful balls. 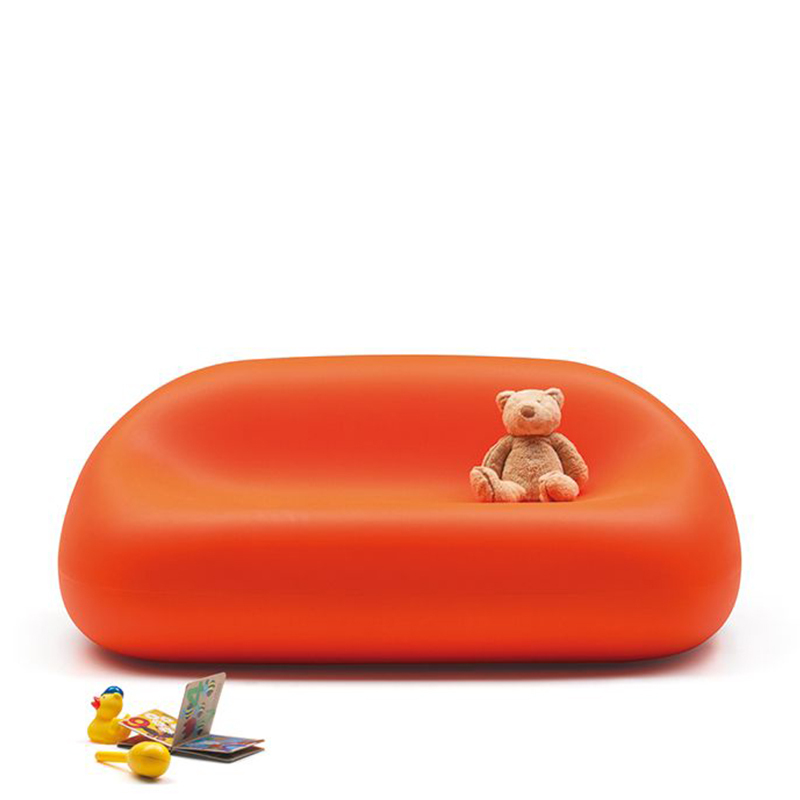 Together with it's pouf and table it creates a complete set.